It's not even a year old yet but Fortnite has amassed quite the following since launch. According to latest figures, it now has 125 million registered players and to celebrate this fact, it has released more details about its Fortnite World Cup, which comes with the massive total prize fund of $100 million. Over the course of this year, Fortnite will be holding Fortnite World Cup Qualifiers and the idea is that this will culminate in the Fortnite World Cup in 2019. The good thing about this tournament, is how much Epic Games is making it inclusive - everyone will be given a chance and everything will be determined on merit. At E3 2018, there was a little preview of what’s to come with the tournament. It hosted a ProAm event in the Banc of California stadium, pairing 50 Twitch and YouTube personalities with 50 celebrities - all battling it out for a $3 million dollar charity prize pool. This was all shown on a Twitch livestream (as well as to people in the full stadium). The stream was three hours long and, at points, there were over 700,00 people watching at once which is an impressive number. The tournament was eventually won by Fortnite superstar Tyler ‘Ninja’ Blevins. 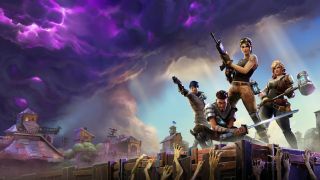 Epic Games finally revealed this week that Fortnite is being made available for the Nintendo Switch. Unfortunately, though, crossplay has been blocked between the PS4 and Switch which has disappointed a number of users. Quite rightly, Xbox has been capitalizing on this situation on Twitter. Now, all we have to do is wait patiently for the game to be released on Android - once this happens, expect Fortnite’s numbers to balloon even more.